Serving the Denver Metro Area, Fort Collins, Colorado Springs, and all of Summit County, Colorado Metal Roofing, a division of National Home Improvement, Inc. brings the strength of steel roofing and professional, expert roofing services to the Front Range and beyond. Our durable, beautiful, and sustainable metal roofing solutions will add value to your home as they protect you and your family for a lifetime. Best of all, our commitment to complete, quality service from estimate to installation and the support of a great warranty give you piece of mind. Colorado, we’ve got you covered! Impact Resistant – Will not crack or penetrate against the most severe hail. Fire Resistant – Will not burn and will protect your home and belongings from wind blown burning embers. 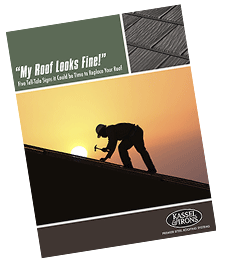 Wind Resistant – A four way, concealed interlocking system keeps your roof covered in winds of up to 120 mph. Know the signs. Download our FREE Guide.